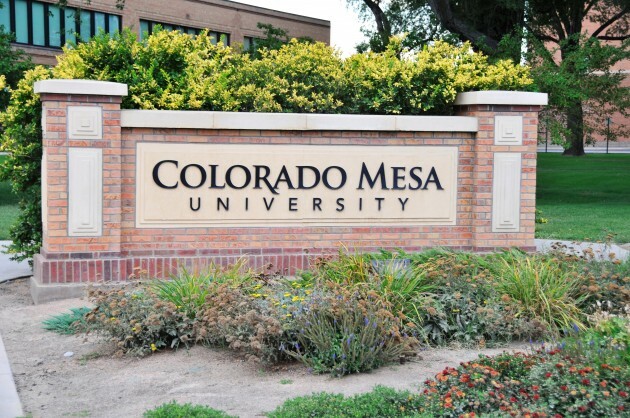 The anonymous Colorado Mesa University nursing students who oppose administration plans to hand out Gideon Bibles at their December 11 pinning ceremony are livid at the school’s response to their protest, and have already contacted the American Civil Liberties Union (ACLU) and Freedom From Religion Foundation (FFRF) about their plight. “We are serious about it,” one of the anonymous complainants said. Some students opposing the bible handout aren’t Christians, and some of them have no religious bent at all. Bible handouts at nurses’ pinning ceremonies are normally features of religious institutions of higher learning, like Baptist or Christian colleges. It’s rare for a publicly-funded college or university to highlight a specific religion at a graduation ceremony this way, or for their graduation ceremonies to have any religious component at all, because of federal laws governing the separation of church and state. The students want to remain anonymous because they’ve already gotten harassment and ridicule for speaking out against CMU’s endorsement of Christianity. They do not want to be put in the position of having to refuse to accept a bible in front of other people because a Catholic hospital is the biggest medical employer in the area, and they feel refusing to take a bible (or failing to be seen picking one up off a table) could negatively impact their ability to get jobs locally. Some of them may continue to have to interact with the same instructors in graduate programs. Beyond that, the bible handout is more than just unfair to the nursing program’s non-Christian, atheist and agnostic students. It’s most likely illegal, and by allowing bibles to be given out on campus at a school-sponsored function, CMU may be crossing a legal line. Under U.S. law, publicly-funded schools cannot give the appearance of endorsing any religion. Giving away Christian bibles at an on-campus, school-sponsored event like a pinning ceremony — even if the bibles are simply set on a table for pickup — would give the distinct appearance that the school endorses that religion. Some school staff have claimed that the 31 students of the graduating class had already voted on the matter some time ago, but that’s not the case. A memo nursing students got from staff earlier in the fall listed pinning ceremony requirements and indicated quite clearly that the bible giveaway was a non-negotiable part of the program. Also, the Director of CMU’s nursing program, Debra Bailey, sent out an email only yesterday, November 12, asking all of the students to vote by email on whether the bible giveaway should be part of the ceremony. The problem with this, aside from this vote being taken very late in the game and only under pressure, is that Ms. Bailey made the vote mandatory and ordered all of the students to submit their votes by email, which would of course allow her to “out” all of the protesters. Is a vote like that fair? “No, of course not,” say the complaining students, who sought an anonymous vote on the matter. This vote seems more like a trap than anything else. There is really no reason for all the hand-wringing, finger-pointing and agonizing that’s going on over this event, by students or staff. There is a very easy way to defuse the whole problem, stop cold any potential threat of litigation against CMU and its instructors and satisfy the upset nursing students 100% percent without inconveniencing anyone or costing anything: Move the Gideon Bible giveaway off campus entirely. The Gideon volunteer could sit at the Christian coffee bar across 12th Street from CMU with the bibles, and nursing grads can be instructed to go to the coffee bar after the pinning ceremony to get one if they want it. Rather than putting unwilling people in the uncomfortable position of having to refuse a bible or be seen not taking one at the pinning ceremony, just make the books available to all the people who want them at an easily-accessible, comfortable location nearby off campus. How Far Will CMU Staff Push the Matter? All that remains to be seen is how far CMU Nursing Program staff are willing to push their luck with this issue, in the face of clear and fairly recent case law on the subject. Staff can insist on keeping the bible giveaway on campus and take their chances with a group of upset students contacting the ACLU and the FFRF, or they can solve the entire problem, placate the students and save CMU and themselves from any legal threat and just move it off campus. It’s so easy to fix this problem and make everyone happy, but will they? Given how issues of separation of church and state have played out in Grand Junction in the past, where elected officials have tried to prove a religious point by avoiding the easy, sensible solution and instead choosing expensive, convoluted solutions that cost taxpayers a lot of money, this issue could go either way. If this issue goes the wrong way, though, it could put CMU out on a limb. Let’s hope that’s not the case with this issue at CMU. Let’s hope that the school administrators choose the simple, sensible solution, and move the bible giveaway off campus. Then they can avoid this thorny problem into the future by learning from it, honoring and respecting the diversity that exists on campus, and steadfastly avoiding any activity that resembles an endorsement of religion on campus from here on out. My thought process is: The Giedons asked CMU a long time ago about handing bibles out. The school accepted. No other religious group has asked to do a similar thing. If they would have asked, there may be more than just bibles offered at the pinning. I spoke with the President of CMU, Tim Foster, yesterday. He sees nothing wrong with the handing out of Bibles to the Nursing students AND said the students all voted FOR it to happen. I informed him that the Supreme Court has ruled the Gideon’s (or any religious group) cannot hand out Bibles at a school sanctioned event on school property. I also informed him the students did NOT vote FOR the handing out of Bibles. Mr. Foster told me the head of Nursing said the students voted FOR it. WRONG!!!! Someone is lying, and I bet it’s not the students! Well, the Supreme Court and our Constitution see many things wrong with it. He also said the Gideon’s would be handing them at the door as the students exit, so that should be no problem. No problem? Seriously? The major hospital in GJ is St. Mary’s; a Catholic hospital. What if administrators or recruiters are in the audience and a graduate says, no thanks to that Bible? That student may not get hired, ya know? When I pointed out that it is illegal for the Gideon’s to be on school property handing out Bibles, he shut me down! Political doublespeak and bs, IMO. Please call CMU at 970-248-1020 and ask to speak to the President and make your voice heard!!! Next step? Call the ACLU and the media, I suppose. I would encourage you to check out St. Mary’s website and see their views on spirituality. Catholic hospital, yes, but they also support, offer and provide resources for all spiritual beliefs. Any student who believes they will be discriminated by St Mary’s based on failing to pick up a bible should consider if that is even a place they would want to work. I am a Christian and had no intention of picking up a bible at pinning, seeing as I already have one at home. Not for one second was I concerned that I would be judged for choosing not to seek out the individuals holding bibles and take one. I am confident in my faith and am not concerned about being judged. If someone were to see me not take a bible and judge me for that, then they are silly and I really don’t need them or their organization in my life. Perhaps this issue is only about making noise and less about serving a purpose. I can assure you bibles will not be at pinning but my faith in God will be. I hope the student nurses fighting bibles can remember the importance of supporting all beliefs, even ones different from their own. I support your belief of no bibles, I also support the idea of having numerous religious, scientific, or athiest text offered at pinning…but can you support the beliefs of others? I hope you take the time to care for all of your patients needs; physically, emotionally, and spiritually… Even if they are different than your own. If you would have read the original letter sent, it was about ALL religious materials, it was never just about THE bible. This whole situation about it being solely around the bible is misinformed and shows how information can be twisted to serve the majorities purpose. Our argument was not about making noise and certainly not opposing the beliefs of Christians; it was about supporting the beliefs of EVERYONE; inclusion, not exclusion. From your statements it sounds like our ideas and yours are very much the same. I don’t believe information has intentionally been twisted to serve the majorities purpose. I believe it was due to lack of communication. Communication through blogs is just asking for information to be twisted. While I read the original message sent, perhaps you can understand this blogger has now created 3 different blogs on the same topic which has lead to a great deal of confusion. The truth has been twisted, misinterpreted and the titles of these blogs have lead the readers to believe it is all about being forced to accept bibles. Had the title of the blogs stated, CMU Student Nurses fight to have all religious and spiritual beliefs represented at their pinning ceremony, their would not be as much confusion. This blogger is probably getting more attention than she has in years simply by the miscommunication that has resulted from her posts. I imagine you can understand how poor communication is in this way. Unfortunately, we felt like we could not go to anyone in our program and had to find a voice who would represent us. Not everything posted on these blogs are our views, hence why it is a blog. I do understand how poor communication can happen, especially after how this scenario has played out, and I hope we can come together as a class tomorrow and find a proper solution without hate, name calling and the pointing of fingers. We do not have hate for anyone. WE DO! We would be more than happy to have 100+ different religions present there! Or…… NONE because it is a secular school! Seems like the reasonable choice is none. I am more than happy to call every religion out there to be present. I completely agree with you. Bring your faith presence, I will bring my spirituality presence, and we can celebrate together. But, let’s agree on something, you don’t bring your bible to give me, and I won’t give you whatever material my belief represents. We can do the material aspect on our own time! Deal? I PROMISE you, I do not judge. I am happy to hear that you do not either. Your response to my post is like a breath of fresh air. I hope the remainder of our class and individuals on this post can come to the same conclusion. All or nothing. This is exactly the conversation I wish our class could have had before this whole mess came to be. I’m sad it didn’t. I’m sad many of our classmates felt their voice would not be heard. I’m sad the threat of protesters at our pinning ceremony could ruin the joy of this occasion. What makes us a truly fantastic group of nurses is our differences; our different life experiences, our different beliefs, our different outlooks, but what will ruin us as a team is our inability to see those differences as our greatest asset. Bring your spirituality presence, I will bring my faith presence, and we can celebrate together. I agree with many of the discussion responses to this article. I don’t believe the student leading this “fight” has handled this is a professional manner. I also don’t believe this goal, “to remain anonymous out of fear of retribution and the potential for compromising their future careers locally,” has anything to do with fighting distribution of the bibles. This student must know that no hospital or any organization, Catholic based or other would knowingly hire an employee that doesn’t understand the importance behind a chain of command. Who would hire an individual that jumps to lawsuits and other forms of protest before using the appropriate steps to resolving a problem? The selfish, immature approach this student has chosen to handle this issue makes me concerned for their ability to function as a member of a team and find effective means of conflict resolution in the future. As a soon-to-be bedside nurse, I understand the chain of command. As a student nurse, I understand the chain of command. I also understand the importance of the patients perspective related to having pastoral presence or not, and respect that. Imagine a patient doesn’t want said services, but you insist on it at end-of-life. You have not allowed that person any choice. The point I’m trying to make is that others should not be making the religious choice of another. I always have, and will continue, to follow the chain of command, as I know is the correct and right way to go. However, related to religion and the offering of bibles to us at a PUBLIC institution, and already ATTEMPTING the first chain in the chain of command, without return dialogue I might add, I had to do the next thing that I felt was morally and ethically necessary for me. You can call me names all day if that makes you feel better. It’s so easy for people to cut other people down with names and mean comments when you don’t know what they have experienced or have been in their shoes, isn’t it? I hope you do not judge people in your team from a few comments made by others, as you have done here. Religion is and has been a sensitive issue since almost the beginning of time, and unfortunately has to go beyond our administration. As a fellow member of your BSN 2015 class, I would like to take the time and thank you for your response as to why you did not follow the chain of command. Do I agree that this was handled in the best manner? No, but obviously there were some concerns with you, your group, or whoever is involved that you felt needed to be handled in a way that would satisfy you. As for the members in my class, SHAME ON YOU ALL who have made inappropriate and hateful comments towards our fellow nurses and peers. Like the previous comment above, until you have walked a day, or even one minute in their shoes you have no business making those comments…You do not know what they went through, or have felt. After reading and re-reading the comments on both blogs, I can understand why they would not want to go to our pinning committee, only to be greeted by chastising comments and potential fear from certain BSN 2015 members. Are we not taught to be some of the most compassionate people in the world? I thought we were. All I have seen are hateful remarks and the true colors of some members of our class (on BOTH sides of the issue). Throughout these last 2.5 years, I have learned to become a better person, a more caring person, and more importantly a more forgiving person. We have learned and discussed this semester (and throughout nursing school) to stand up for what we believe in, even when it is met with disdain. Anonymous- I forgive you, even though I do not believe what you did was handled in the best manner. Other commentators- I also forgive you. Carrying this hate for your fellow classmates will be your downfall and this will be carried with you in your heart for the rest of your career (same can be said for anonymous). Again, I forgive, but can you? Thank you for responding. I believe the term is horizontal, or lateral, violence, and should not be tolerated in any form. Just because I didn’t want a bible at my public university, school-sponsored event, and only wanted and wondered why there was never an anonymous vote from the beginning, it has become an issue greater than a simple solution. I am sincerely sorry that it got blown up out of proportion, and it was not handled exactly how I would have wanted it either. First off, I didn’t know that personal information would be posted. There was, unfortunately, a miscommunication with representation. I cannot change that, and am sorry. Second, I’ve never done something like this before, and it got pretty big very quickly. However, it is about religion, and each person has a very strong opinion on the matter. Regarding your last comment, I do not have hate for anyone, as words do not really affect me too much. I am saddened that there is still horizontal violence, and will continue to be throughout our entire career, sad to say. There is nothing to forgive, because I believe they are not sorry. Finally, what will be carried in my heart for the rest of my career is knowing I stood up for what I believe in, knowing that there may be consequences, and possibly even being a voice for others that were too afraid to do what I did. Never apologize for a philosophical stand. Your beliefs and opinions are valid. This decision was foisted upon you. I support your actions. You are the kind of Nurse that will reach into the Nursing Process, question it and improve it, and as a Nurse scientist, that is what should be expected. Independent stands take courage and there will always be backlash. You have challenged and won an important victory. Not for yourself, as it has taken a toll, but for those Nurses that could not protest openly and those that come after you. If you have only made a small crack in a unprofessional and inappropriate part of the ceremony,,,You rock!!! Rather than blame and insult, which is unproductive and unkind, how about solving the problem, quickly and easily, for all involved? There is a simple solution to this problem: move the bible giveaway to an appropriate nearby location off campus, like the Four Winds Coffee and Tea shop or a church nearby; have the instructors let the students know that free bibles will be available there after the ceremony for a set amount of time, and all students have to do is go there and show their pin to get one. This keeps bibles available to all who want them, would placate the students who are objecting to having the bibles at the pinning ceremony, and it keeps CMU 100% safe from any potential lawsuits. Problem solved. Why keep arguing? How about just solving it? The administrative culture on this campus is one in which power is absolutely concentrated at the top, and we have a President who regularly undercuts any faculty governance. He encourages students to come directly to him. Countless students who go straight to him if they’re upset about a grade testify to this. So don’t judge your students’ decision to go directly to him too harshly. It also seems like they were afraid of reprisals and wished to remain anonymous. These are also reasons they would have avoided going straight to Deb. My other comment is that even setting aside the fact that St Mary’s is the biggest medical employer in the Valley, there is a definite stigma in our community associated with not being of the Christian faith. Putting any student through that uncomfortable moment at a ceremony that should make them feel accomplished and celebratory simply shows insensitivity. Please, Professor Kasun, work to remove this element of the ceremony. Don’t leave it up to a student vote–especially one in which students have to reveal their identity–we are a public institution and we should be upholding the concepts of separation of church and state. Thank you for your insights, Anonymous Faculty Member. CMU’s culture had definitely played a role in creating this dilemma for the dissenting nursing students. The handing out of Christian bibles to students at institutions of higher learning appears to be something that only occurs at overtly religious private schools, like Baptist, Christian or Jesuit colleges and universities. It is extremely odd to see such a thing implemented at a publicly-funded institution like CMU, which by law (clarified through numerous court rulings) is supposed to remain steadfastly neutral in matters of religion. Thank you. Your comment means more than you can ever imagine. As an anonymous protester, it has been difficult over the past week, and the semester in general, because of this issue. Although the blog doesn’t give our exact thoughts, and showed information that we didn’t think would be shown, our intention was to show how big of an issue religion is if a minority decides to challenge its history in an institution. A public one at that! As you stated, we knew we couldn’t go to faculty or administration. When asked at first pinning meeting with class, the committee and faculty member stated simply “then just don’t take it, it’s not that big of a deal.” From there, it seemed obvious that we couldn’t use the chain of command, plus knowing that the head of the department is very religious also. Hence, a student contacted the president, thinking the issue may be resolved. We found out that he believed whatever the Director said, and also didn’t see an issue with bibles being handed out. So, we felt that this was a bigger issue than an individual feeling ruffled. Who knows how many other people feel the way we do??? Obviously there are some, since we have the FFRF and ACLU, as well as many legal cases brought forth. I completely understand the chain of command. Related to a professional or student role, I know in what order to go to resolve conflict. However, when it comes to religion, after reading in history class to seeing it posted every day on the news how it creates war, I know that people will pick sides. I also know they will judge. If we did this outright and spoke up in class, we would still have been looked down upon by the more religious people, and the issue would never had been resolved because of the stigma in western Colorado, and evidently with our class and institution.The argument of Professor Kasun in saying we didn’t handle it professionally is not right. We ARE professionals. We WERE TAUGHT to stand up for our beliefs. We have COMPASSION, and are PASSIONATE about what we believe in. Over the past few YEARS we have been taught to ADVOCATE for a person or people. You say there should be dialogue? There was dialogue at the beginning, but one-sided. That beginning dialogue showed that there would not have been any negotiating, and we would have to walk right past a bible at pinning, no matter where in the building it may be. Also, classmates posted that the end of what should have been the best years of their life have been ruined by this act. I am sincerely sorry you feel that way. I am standing up for what is right, and you will still go to pinning. You will still graduate. But I needed to do something that is morally and ethically correct. Anonymous Faculty, thanks again for emphasizing how easy it could be to “fall on the wrong side.” However, whether we are anonymous or not, our classmates have judged and chosen sides already. The vote in class was on September 9, that day the information about how the bibles would be presented was incorrect because the pinning committee did not have the correct information. It was a lack of knowledge and not in the least bit malicious or an attempt to bypass the class. I am still not understanding why you felt that the simple statements by your peers closed the door to you voicing your concerns to the faculty advisors, the program head or the department head before going to the President. An anonymous letter could have just as easily been delivered to one of those people and this whole thing could have been addressed then. By citing “the head of the department is very religious” as a reason you couldn’t speak to her even anonymously is interesting to me because her religious views have zero to do with this issue. President Foster’s religious or political views did not deter you from going to him. Why is that? I am curious as to why this horrible injustice that you felt the need to speak up against was not an issue for you for five weeks, from the initial meeting until you contacted President Foster shortly after our class photo on October 14. What happened that day that brought this issue into the light for you? Was it something that was said over breakfast that morning or simply the mob mentality and mimosas that fueled your fire? It seems odd to me that if this was such a problem that you did not address it sooner. I can understand not wanting to speak up in class October 21 when Diana addressed our class but she specifically told the class that if anyone wanted to discuss the issue privately her door was open. Why was that not an option for you? The faculty of this university has been clear from day one that they are here to support and advocate for us. There are a great many faculty members who have differing beliefs and teaching styles, certainly ONE of them would have been an option for you to speak with. Instead you chose to seek out an activist group that has run with this….and the damage cannot be undone. Regardless of the resolution that will occur within our class, the owner of this blog has encouraged and continues to encourage the public to harass President Foster, attend our pinning and protest, and threaten to call the media and ACLU. I don’t want to ask my friends and family to attend a nightmare like that, do you? Pinning is about us, it is our accomplishment and none of those people have a vested interest in any of it. You say you did not intend for this to get so out of hand so why do you not call off these people, and let us have our celebration in peace? This is no longer about bibles, it is about salvaging what is left of a previously close group of students and celebrating something we accomplished TOGETHER. I think you are fantastic for taking time to express how you feel and show others I am not crazy. I wish I could be friends with you, you’re my type of people! To be honest, there shouldn’t even have to be a vote in the first place whether there should be a bible or not!!!! There should just be no bibles given out in a public school!!! PERIOD! I also love how you say the chain of command is militaristic… You made my day better. Are you not reading what you are posting? All I have read are hurtful comments. I do want to shed some light on the voting issue since everyone keeps saying WE had a vote. WOW, maybe that’s a vote, I still don’t think it is. Maybe you should review what lateral violence is, because at this point you’re the shining example of it. I did not say we voted about the bibles, it has been well established that we did not as a class vote on the bibles. Should we have? Yes clearly we should have. Hindsight is 20/20. As for lateral violence how is my post lateral violence? I am asking what many people are wondering. Why couldn’t this have been addressed within the class or department? I am not name calling or bullying I am inquiring. I am not bitter or angry. Confused yes, hurt yes. Attitude? no. You are correct, and I am sorry for that, I read that incorrectly. Hmm…no lateral violence, read your second paragraph. I think it is pretty clear this reaction from the peers is why they did not go within the class, or department. I am also an not tenured. Though on the track, I certainly don’t have it. I respect your concerns and right to anonymity, but it’s also difficult to have made the choice to not be anonymous and to continue to receive anonymous critique. I understand that President Foster encourages students to come right to him. However, as a pinning advisor, never having this brought to my desk (or my colleague advisor), it makes it difficult for us to help. I want to advocate for students, I want to get them what they need. But I can’t when I only hear the concerns after they’ve gone elsewhere. Perhaps this is me, perhaps this is because I’m unapproachable. I’m sure many on these threads will notice that and be pleased to call me out on it. Rest assured, it’s something on my mind every moment during this and is one of the things that most breaks my heart. Certainly, some of my time in the future months will be spent thinking about what I could have done differently. That said, our program goes beyond just graduating people, we’re also training professional nurses. It’s a process bigger than a degree, and something that it should certainly be okay to have a dialogue about. I am not trying to judge my students. Rather, I am trying to advocate for myself, my colleagues, and my profession. The posts herein have been so unrepresentative of a large group’s perception of this situation. Before anyone can find a solution, and indeed healing, we’re going to have to acknowledge each other’s perceptions, and feelings, and move forward together. There is an absolute stigma in the valley around not being Christian. As someone who identified as Atheist in my 20s, and having moved more towards Agnostic, I’ve been not Christian for almost 20 years. Some of that time was spent growing up in the bible belt in a conservative community in South Georgia. Some of that time was spent working as an open atheist at catholic institutions. I’d argue that I actually have some valuable coping skills to rolemodel and impart here, but I can’t make that connection if not approached with the issue. What happened here, seems to me, as a miscommunication. There was misunderstanding about the intentions of the faculty pinning advisors towards bibles at the ceremony. Discussion happened, framed in a light not intened by the faculty or department at all. With President Foster as the first stop, it was hard to catch the miscommunication. Quite possibly, when the faculty colleagues did get to speak with the students, they were speaking about different things – my colleagues with an idea that things had gone as they should, and the students with an idea that things had gone as they did. We, as a faculty, never inteneded to force students to have bibles as a part of the ceremony. Further still, our intention would never be to punish anyone for their beliefs. There is much discussion in this thread about nursing and what nurses are supposed to be, and some insinuation that we may not be that. The BSN faculty at CMU are at their core a group of smart, kind, compassionate, skilled nurses who value science (even those of faith). Courtney I would love to continue this discussion in person. I am not without sympathy about Paris, and I am dismayed that you decided to come to that conclusion. Do you really think there are no Christian Jihadists in this country? Where does the indoctrination start and where does it end? You are instructing mostly young and impressionable minds and you hold a position of power and influence. For you to retort to me in the manner you have chosen is concerning and another example of how the status quo and lack of flexibility has effected the Nursing Science program. Do you want your students to be professionals in their own right? I worked with Indian Nurses that were not even allowed to do CPR, ergo I started a certified ACLS program. They took that back to their country. THEY wanted it. I lived in a Muslim country for years, and I know how precious the separation of church and state is for independence in a professional setting. My previous comments don’t preclude the notion that there are Christian extremists. I would never aruge that. I was simply expressing the opinion that I don’t think Dr. Simmons’s comments and the Paris attacks are equitable comparisons. His comments, which you perhaps read with a feminist lens, I think he inteded with a very different slant. There’s been a lot of discussion lately in higher education around issues raised in articles like “The Coddling of the American Mind” by The Atlantic in September. I think his comments were more reflective of that temporal priming. Throughout our exchanges, I have sought to mirror your language, and challenge some of your assumptions. The exact thing you are encouraging the students to do. I appreciate the offer for coffee, but will have to respectfully decline at this time. This all has been quite draining, both professionally and personally. I don’t have enough emotional reserves left to meet with you, as well as try to work towards resolution within the program. Perhaps another time. It’s clear to me we believe in many of the same things, but that we are seeing this situation through different lenses. I read the Atlantic article. If Nursing instructors are having to contend with that kind of infantile indignation, then there is no wonder you are tapped out by this issue. I send you energy and respect for what you are doing. I have taught Nursing at many levels, and I know students, as they mature in their knowledge and experience, are a challenge. Know that one student took the statement “conflict is the instrument of change” seriously and acted appropriately to their belief and experience development of which you were a part. That student will never be fearful to stand up for patient welfare and will be capable of real change within the Nursing process. Be proud. You did a good job. It won’t let me respond directly to you below, but thank you Benita. I would very much enjoy coffee in a few weeks, as nursing colleagues, if you’re still up for that. I should also say, I don’t mean to imply that the themes from the Atlantic article are all that are at play here. I merely mean to provide some insight into mental frames and trends instructors often feel like they’re working with across their teaching practice. Email me at ranchita3553@gmail.com when you are rejuvenated. Laugh and enjoy. I will be here and really look forward to coffee. The whole “bible” issue is missing the point. “Religion” and ANY written “word” are MAN made and impose a belief system. Religion has always supported the “superior” status of male over female. Nursing, by its nature, is and must be secular and color blind. Nursing is the holistic care of a human being and has, historically, been a predominantly female career as women were barred from medical schools. When schools, public or private, impose and even force acceptance of a unilateral belief system on predominantly female students, using a graduation ceremony to do so, is unprofessional, unethical and dishonors the science and premise of Nursing. Under these circumstances, issuing any “religious” symbol is a statement that follows thousands of years of separation between peoples. The slaughter in Paris and the physician’s statement on this string is an example of how powerful cultural mores are perpetrated through time and often women are the targets. Nursing is no longer only female, as being a physician is no longer only male. Nursing is a worldwide profession that encompasses all religious beliefs. A pinning ceremony is not an appropriate professional venue to support any cultural separation of these graduating students. I am especially ashamed of the Nursing Director on her decision to proceed with this charade. As a Registered Nurse of more than 35 years, I have practiced Nursing all over the world. I have done my share of privately asking from my soul, for help in caring for my patients. Never would I think it appropriate to impose my beliefs on my Muslim patients, my Hindi patients, my Jewish patients, nor would I want a Nurse to take care of me that did so. Shame on all “professionals” that are perpetrating this turpitude against a noble profession. Dr. Simmons is a committed graduate nursing faculty. I am a faculty in undergraduate programs and am passionate about our profession. Your comparison of what happened in Paris and to Dr. Simmons’s comments is not only full of logical fallacies, but is also insensitive to the suffering of hundreds of families. Thanks for the feminist analysis, but you are still missing out on may facts here. Also, with many male students in this class, your analysis excludes them. As a faculty member, the most concerning parts of this whole thing relate to professionalism. Original concerns on this were taken straight to the University President. This took away the ability of faculty members to sit down and dialogue with the students to resolve the issue. As faculty, we’re not only members of the profession, but also student advocates. We’re not upset because the students don’t want bibles. I’m an agnostic who previously identified as an atheist. We’re concerned about what this situation means for soon to be members of our profession. As a nurse at the bedside, it would certainly be inappropriate for me to take personal or precessional concerns straight to the CNO without speaking to my charge nurse, unit manager, or division manager first. Bypassing these people cuts those most involved in the day to day, on the ground issues out of the equation. I would also point out that your historical narrative of the profession ignores the idea that nursing evolved from religious orders and women of faith. Again, there was never any intention to hand out bibles as part of the ceremony unless the class elected for that to happen. Bibles have never been a part of the ceremony as long as I’ve been teaching. Certainly, there are free speech arguments to be made on behalf of the Gideons. You passionately advocate for respect of others beliefs. When the Gideons come to pinning, not involved in the ceremony, and not sponsoredavailableesurrecting available to new nurses, are they not exercising their beliefs? Under what circumstances to we not owe respect? Please don’t shame myself and my faculty colleagues. As a fellow registered nurse it is disheartening you’d have so little faith in, and respect for, your colleagues as to shame them without their sidr, and on a blog where many have pointed out inaccuracies. If Tim Foster endorses this bible giveaway. Yes, then we have a problem. Thanks Anne for looking into this, actually a Gideon bible is Not a Catholic bible. When I was on campus with Catholic ministry the Fellowship of Christian Athletes / Campus Crusade campus minister was an athletic director and enjoyed many on campus privileges not granted to other groups. It is entirely inappropriate for these bibles to be distributed and the staff should be protecting their students from this debacle. GO Student protesters. On an equally serious note, a valued nursing instructor was not renewed( fired) from CMU last spring because of her involvement with our growing human trafficking local group. She is a public health nurse and the school told her, after they asked her for a board of trustees report, she could not be an expert on human trafficking unless she had worked with it for 20 years! and may I add…THANK GOD that the email was incorrect on the form you have posted without permission and with blatant disregard for the students privacy or safety! I hope very much you had the permission of the nursing students whose emails are posted above to put them up on your blog. Otherwise, you may well be violating some privacy statues. Also, the form posted above appears to be the version that the class representatives pull together and distribute, not something distrubuted by the faculty. I’m obtaining the other sheet for comparison. Certainly, the members of the December BSN class of 2015 have the right to be surprised and and frustrated by actions toward their group recognition ceremony that were not brought to the group. You suggest, that voila, the problem would be solved with moving the Gideons off campus. However, you neglect to pay any attention to nursing as a profession with a specific set of values. Part of the department frustration with all of this has to do with the way this has all been handled. Again, you keep quoting case law that talks about school sponsorship, which is not what has happened here. In fact, reading through the case you keep citing, the word appear only occurs once, in a quotation. There is not establishment of an “apperance” test in that case law, as you keep asserting. The bigger issue is this: These poor, put-upon unbelieving students who are so worried about their employment prospects at St. Mary’s being compromised by a public display of infidelity! If hired by St. Mary’s, they will find it positively INTOLERABLE to be greeted by the Virgin Mary herself (in statue form), have to walk down a hallway saturated with kitschy gospel photographs, and be subjected to daily prayers over the PA system! How will these fragile flowers possibly get their work done in such an oppressively religious environment? I just KNOW when Sister Barbara greets me in the hallways of St Mary’s, she’s really just looking for a way to persecute me for my debauched unbelief. Somehow, we atheist healers still find a way to soldier on, doing our professional duty in this religion-saturated environment. We don’t even hope for rescue from Ms. Landman or the ACLU! It must be an inner strength that comes from from a dedication to others and our profession, regardless of the belief system of those around us. St. Mary’s has a giant cross on the outside of building indicating it is a Catholic hospital. When you work there, you know what your’e signing up for. CMU is a secular institution and should remain steadfastly secular, as is required of publicly-funded schools.